After a string of shops & services pulling out of Wellington, a brand new Dessert Shop is set to join the Market Pop-up Pitches in helping rejuvenate Wellington. 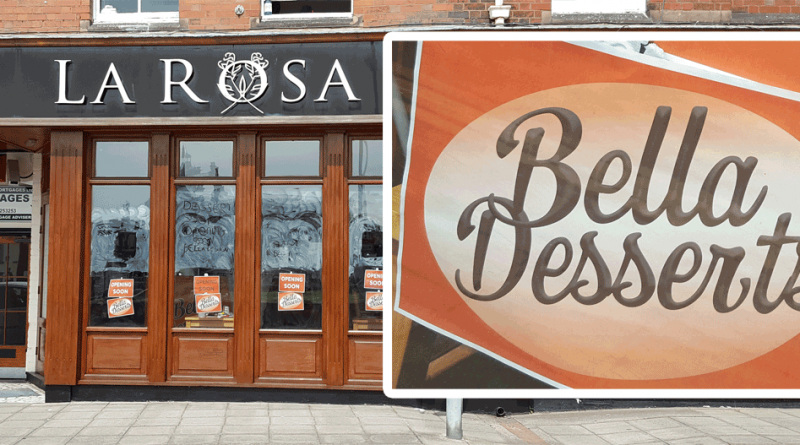 Set in the former Italian restaurant La Rosa in Church Street, Bella Desserts brings a new angle to the food offering in Telford. Many of the recent new openings have been the now traditional fayre of Takeaway Pizza, Kebabs, Chips, Burgers and Fried Chicken, so having an dessert shop is a welcome addition. Facebook is filled with photos from locals making the trip to The Little Dessert Shop in Wolverhampton, 20 miles east down the M54, so it will be interesting to see what is on the menu at Bella Desserts.